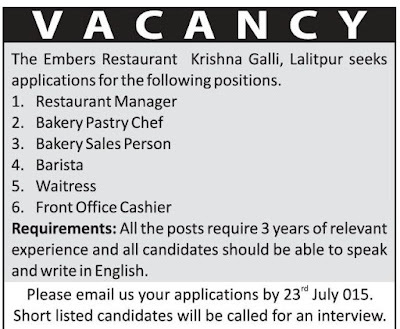 The Embers Restaurant Krishna Galli, Lalitpur seeks applications for the following positions. Requirements: All the posts require 3 years of relevant experience and all candidates should be able to speak and write in English. 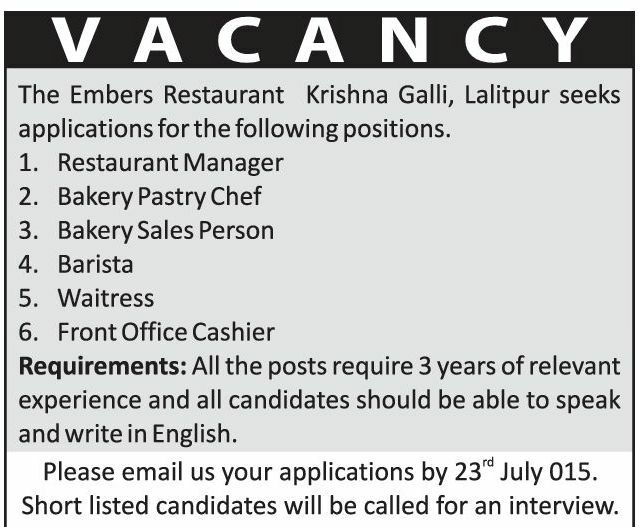 Please email us your applications by 23rd July 015.